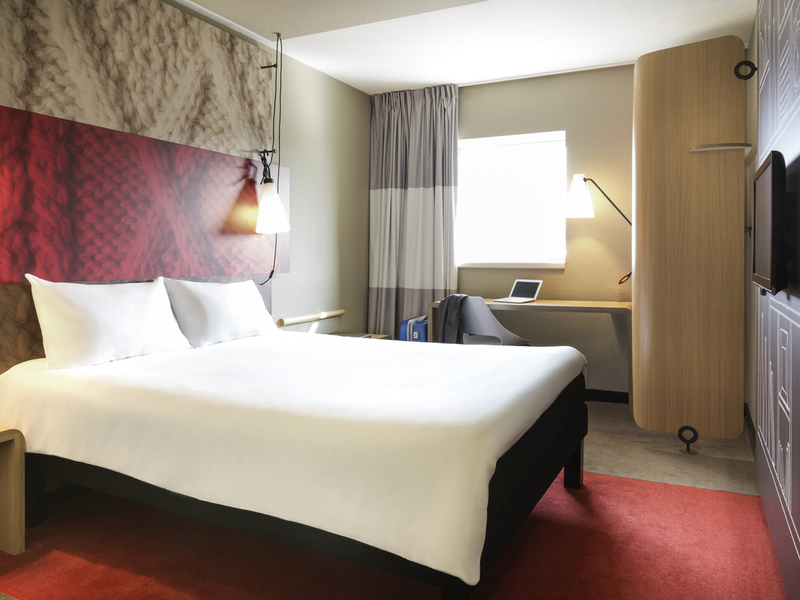 The ibis Rennes Centre Gare Sud hotel is located in the city center right next to the TGV train station and the metro. The hotel is ideally located for your business and leisure stays with its proximity to the Parliament of Brittany, old Rennes, Thabor Pa rk and many restaurants. The hotel offers renovated Sweet Rooms and new Poppy Style Rooms. You can enjoy additional services: bar, 24-hr snacks, free high speed Internet and meeting rooms. Near city center (parliament), les Champs Libres (cultural center); a city of art and history. Near St Malo and Mont St Michel.